Aleksandra Niemczyk's full-length feature debut was made in Sarajevo under the auspices of the film school directed by Béla Tarr, who also co-produced the film. The Polish director's film seems to be immersed in equally bleak aesthetics and imbued with the same apocalyptic spirit as the work of the Hungarian master. Suspended in timelessness and stillness, it tells a disturbing story enclosed within the home of the mysterious protagonist, who we first meet as a young woman and then see later as an old lady. We observe her seemingly ordinary everyday life, which consists of repetitive behavior and gestures. We listen to a series of prophecies and conversations with spirits. Her character is modeled on the eponymous figure of Baba Vanga, a blind Bulgarian mystic and clairvoyant who foretold, among other things, the outbreak of World War II, the Chernobyl nuclear disaster, the collapse of the Soviet Union, the attack on the World Trade Center, and the war in Syria, not to mention the end of the world in the year 5079. 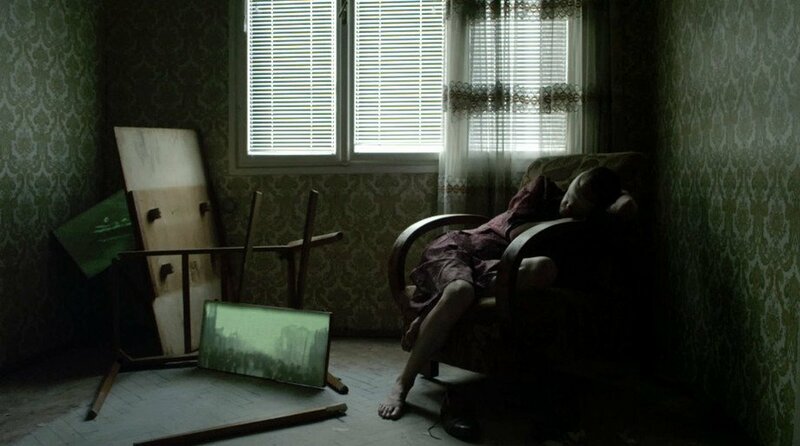 A director and visual artist, Aleksandra Niemczyk was born in Warsaw in 1977. In 2001, she graduated from the Faculty of Graphic Art at the European Academy of Art (Warsaw) and moved to Oslo. In 2007, she studied Film Direction at the New York Film School, and in 2013 she was accepted at Film.factory, the film school founded by Béla Tarr in Sarajevo. She has held numerous exhibitions and also made several short films, including the award-winning Hide and Seek (2009) at the Locarno Festival.